Each year Emerge sponsors a series of special events where family members, individuals in the community, corporations and other institutions can demonstrate their support for Emerge’s work. and showing your support for the Emerge family, contact Brent Jones (bjones@emergeinc.org). 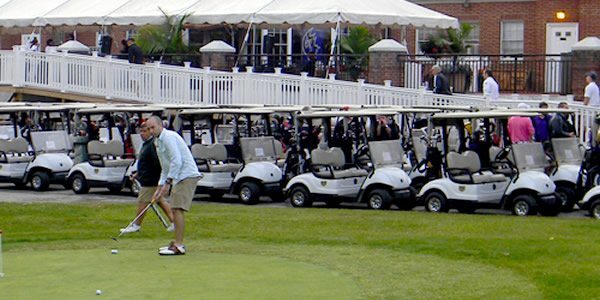 Emerge Golf Tournament – Each Fall, we sponsor a golf event at which all members of the Emerge family are welcome as participants or spectators. There are several levels of participation at which interested players and sponsors can enroll. 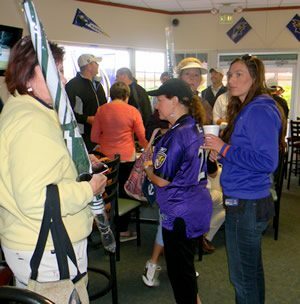 This year’s event will take place at Pine Ridge Golf Course in Timonium, MD on in the month of September. Contact Brent Jones (bjones@emergeinc.org) for more information or to reserve a place for your organization or yourself. Emerge Bull and Oyster Roast — It’s our pleasure to sponsor our own version of a time-honored Maryland tradition, the Bull and Oyster Roast. So plan to join us in the month of March for this all-you-can-eat occasion benefiting the good work we do. Brent Jones (443.393.3708) can provide more information on this event and others in our program. And remember, you can demonstrate your support for the Emerge Way year-round, by proudly displaying an Emerge Family bumper sticker or window decal.